Please click HERE to book online with the booking code ASMC19. In order to confirm a room assignment, a major credit card will be required as a form of guarantee at the time of reservation. Any reservation cancelled less than 48 hours prior to arrival date will be charged one night’s room and tax. The hotel check-in time is 3:00 PM and check-out is 12:00 PM (noon). 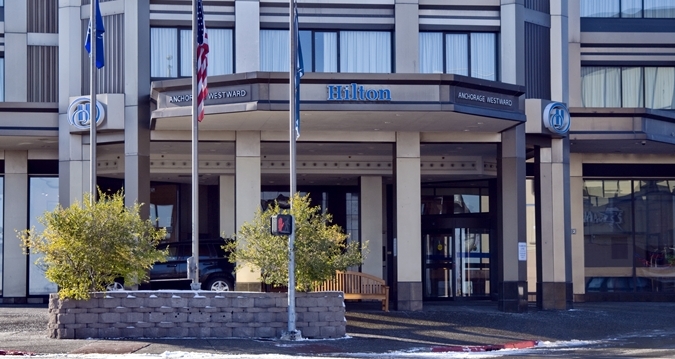 The Hilton Anchorage Hotel is offering complimentary wireless Internet access for attendees of the conference. Taxi service from the Ted Stevens Anchorage International Airport to the Hilton Anchorage Hotel is available at both airport terminals. Estimated travel time is 15 to 20 minutes. The cost is approximately $17 – $22 each way. Daily parking passes will be available for purchase at the hotel’s front desk. Hotel parking options include day valet and overnight parking for $16.00. Please indicate that you are attending the Alaska Surveying and Mapping Conference to receive the discounted parking rate.